Provide Your Information Above For A Free Email Consultation. Doctors everywhere agree that if you snore frequently, sleep apnea is a justified health concern. Hundreds of thousands of Australians are diagnosed with sleep apnea every year; a condition with millions of suffers who sometimes don’t even notice that they stop breathing in their sleep until a partner brings it to their attention. Your snoring can in fact signal that your airway is obstructed while you are sleeping or your breathing reflexes are not functioning properly. Every Breath You May Not Take Is Exposing You To Other Health Risks. As you age, sleep apnea becomes a greater concern…even if you’ve snored for your entire life, you enter a higher risk percentile for sleep apnea and hypoxia once you reach age 40. The Only Way To Determine If You Have Sleep Apnea Is With Proper Testing. We use the most advanced sleep testing equipment available (the Somte PSG) to monitor your sleep in the comfort of your home. We’ll Help You Determine The Impact Snoring Has On Your Health Using Advanced Diagnostic Tests Performed In The Comfort Of Your Own Home. In the past, the bulk of sleep testing equipment required you to leave your own bed and stay in a room designed to monitor your sleep—a hassle for some that kept their sleep apnea hidden for far too long. Now, advanced sleep testing technology has shrunk and we are capable of setting up sleep tests in your home using portable equipment. At Sleep Right, we also have remote monitoring capabilities and a Sleep Physician to analyze your sleep study results. We’ll Provide A FREE Sleep Consultation When You Complete The Contact Form Above – Or When You Call Our Wangaratta Office At..
Stop in at our Wangaratta Sleep Clinic, call us at 1800 799 950 or provide your contact information in our online contact form. We’ll send you an email or get on the phone with more instructions. We’ll help you find a sleep test solution and tell you how to get a referral from your doctor. Our technicians will come to your home and fit you with in-home testing equipment, our Sleep Physician will review your results, and we’ll work with you to find a solution to your sleep apnea or snoring. Contact Sleep Right Australia Today To Get Started! Let Our Team Provide Your Sleep Apnea Or Snoring Solution. 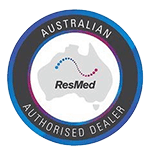 Sleep Right Australia is also one of Australia’s leading provider of CPAP equipment implementation and monitoring. 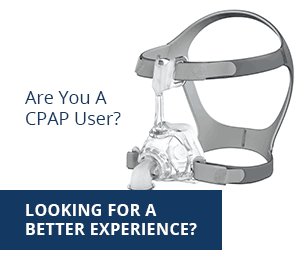 At our Wangaratta office (and 5+ other locations) we allow you to try on and test CPAP equipment to determine proper fit and function before you take it home. Additionally we offer remote sleep monitoring that allows us to consult and adjust your treatment over the phone or email instead of in-office visits.